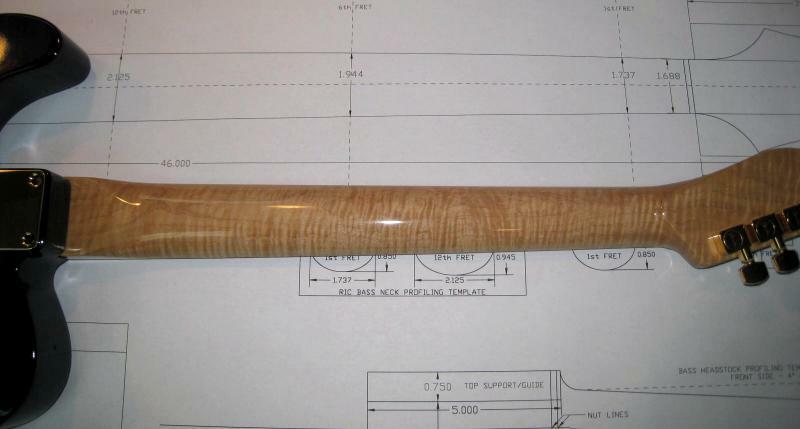 It began with a piece of 8/4 x 13 Curly Maple. 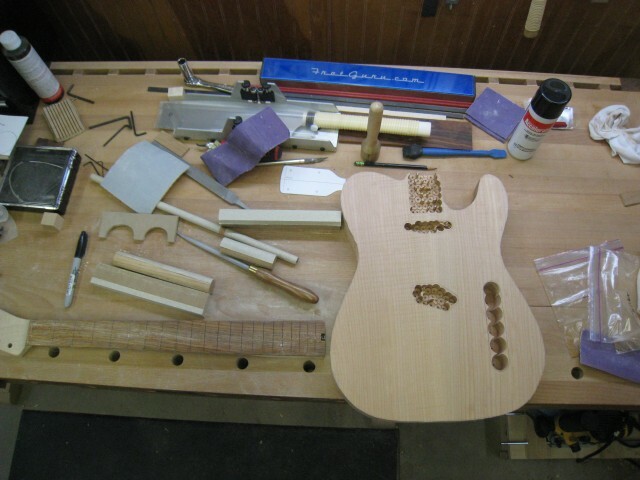 The figure on one side was much stronger so the piece was ripped down the center, lengthwise, and the two best pieces were selected for the body. 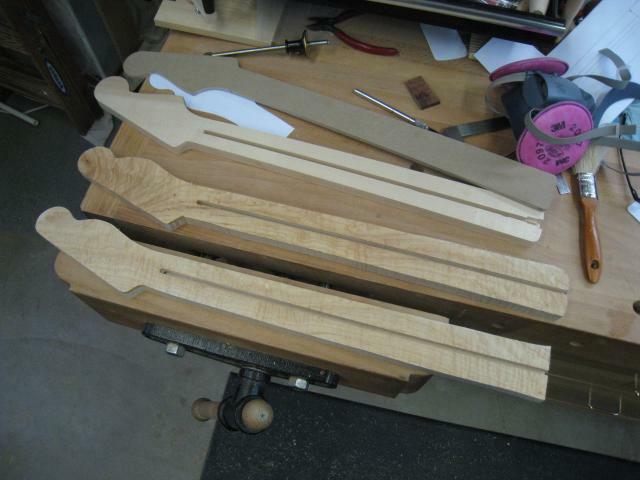 Top to bottom: Strat neck template (QS maple), Tele Deluxe neck and KB Custom neck (both high-figure maple). 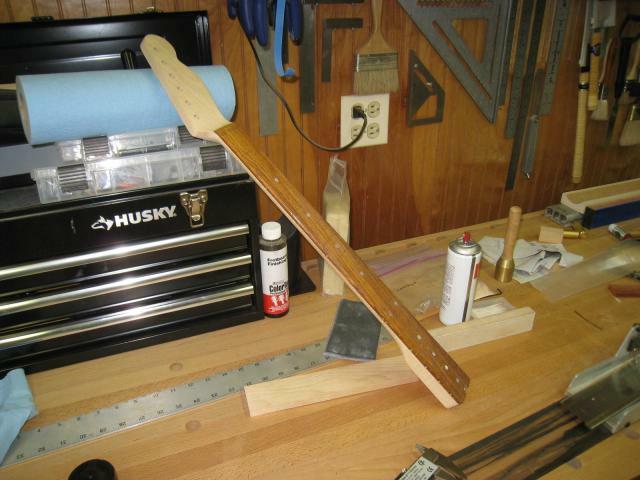 Shaping the neck with spokeshaves and rasps. 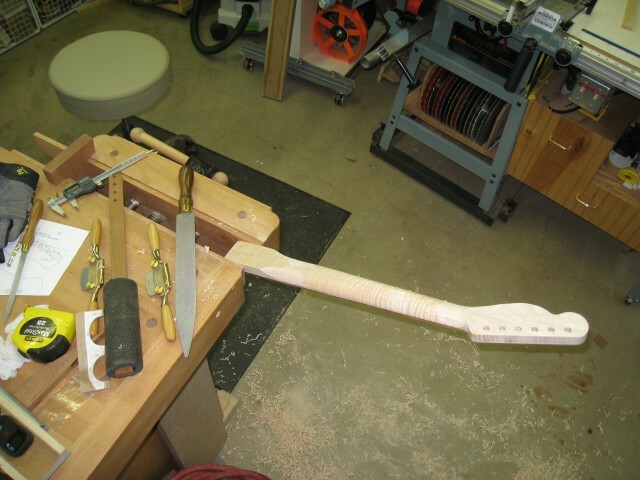 The back profile of the Flame Maple neck. 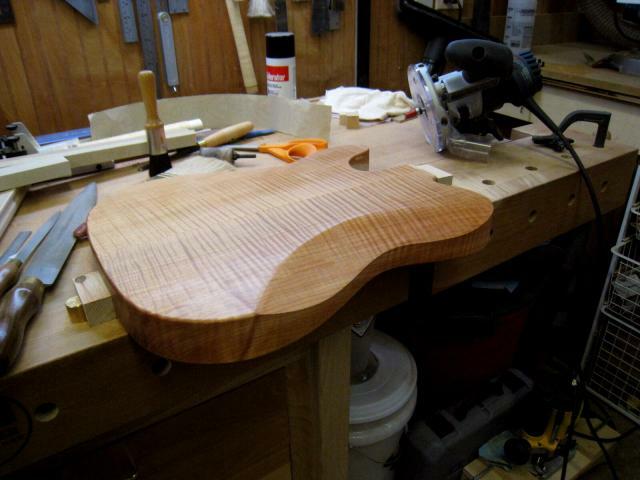 The customer flew into town to do the final shaping on the neck - making this neck a truly custom neck. 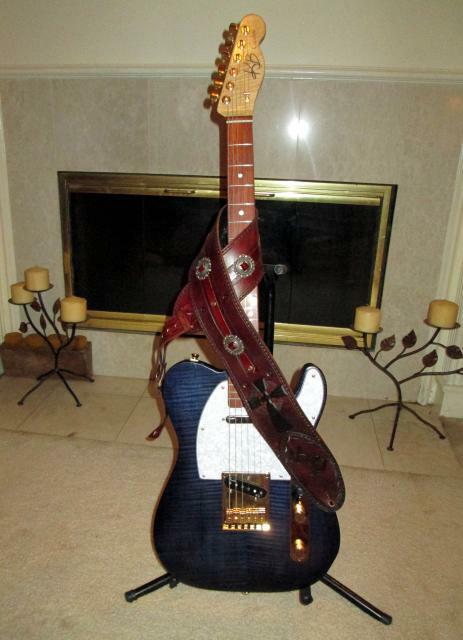 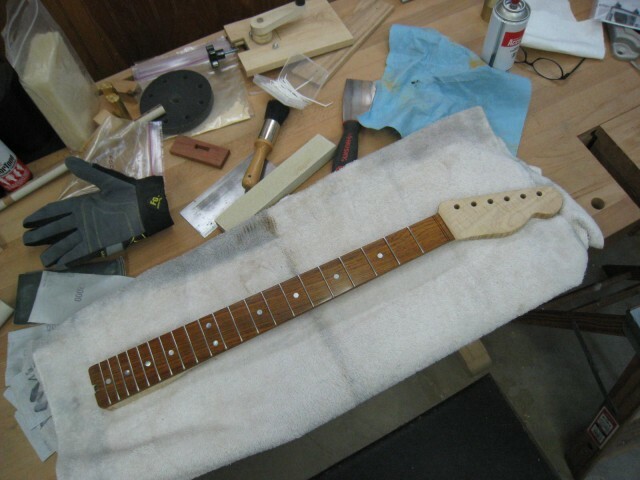 Dry assembled - Cocobolo was used for the fretboard. 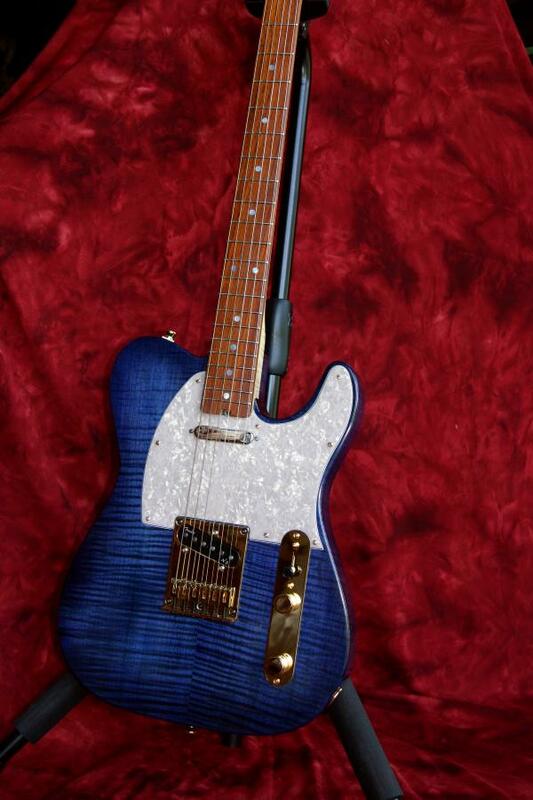 Pickups are Fender Telecaster N3. 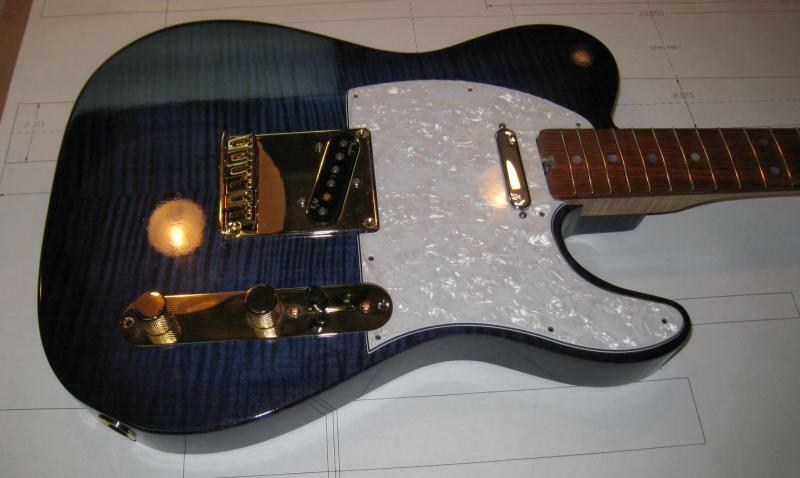 Tuning machines are Fender American Standard. 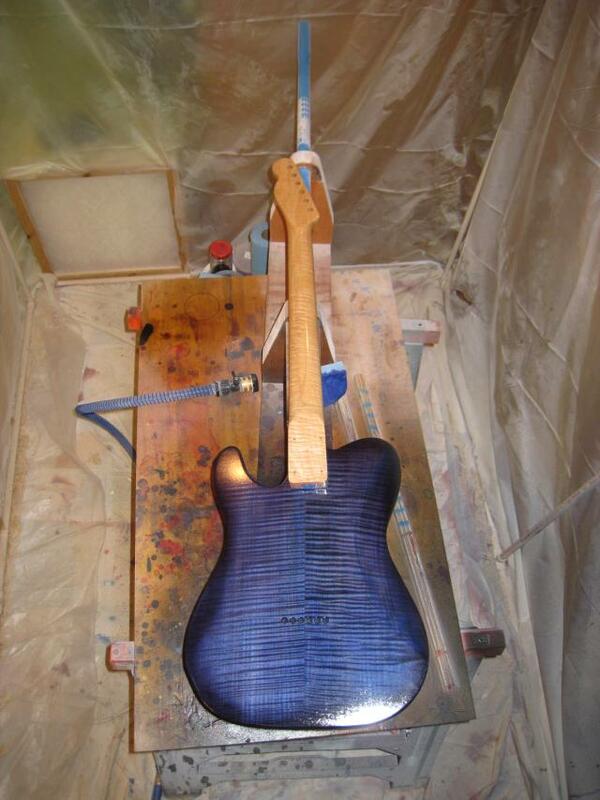 A little mineral spirits brings out the chatoyance of the figure. 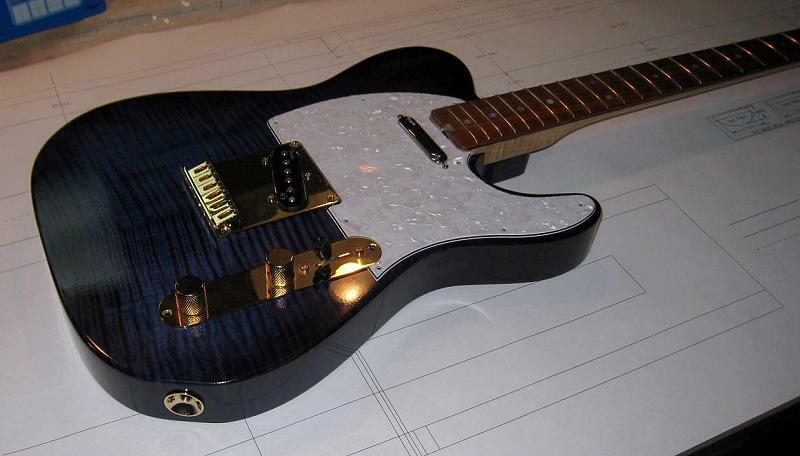 Mother of Pearl fret dots are installed on the face and side of the neck. 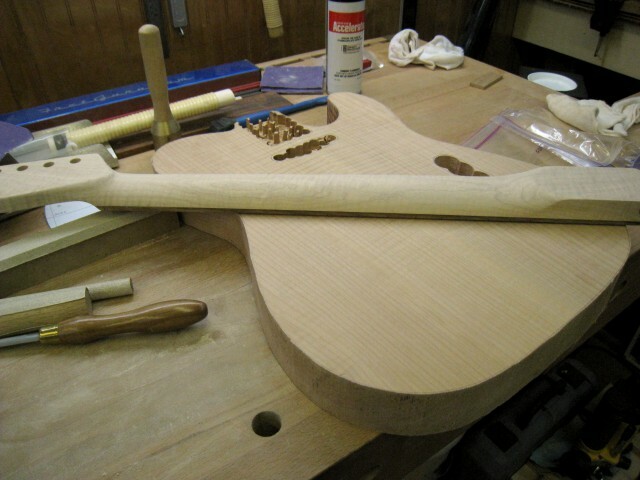 The entire neck is then sanded and buffed. 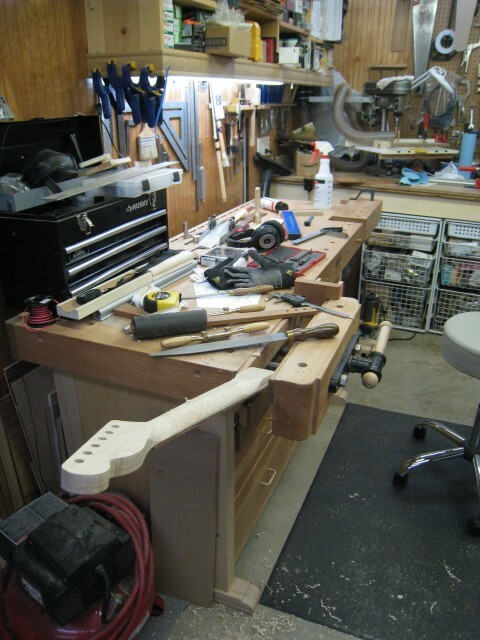 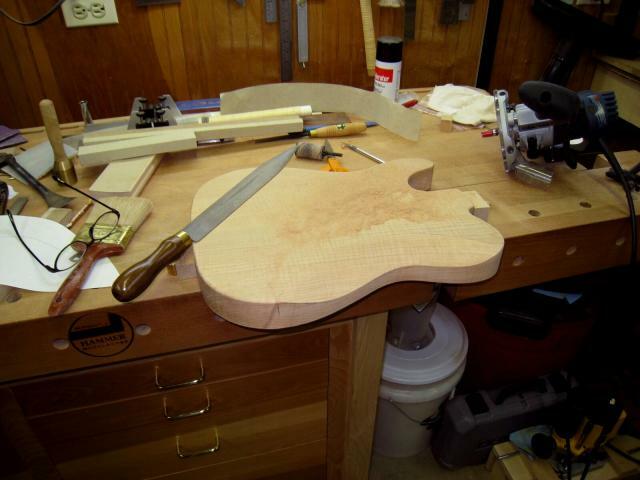 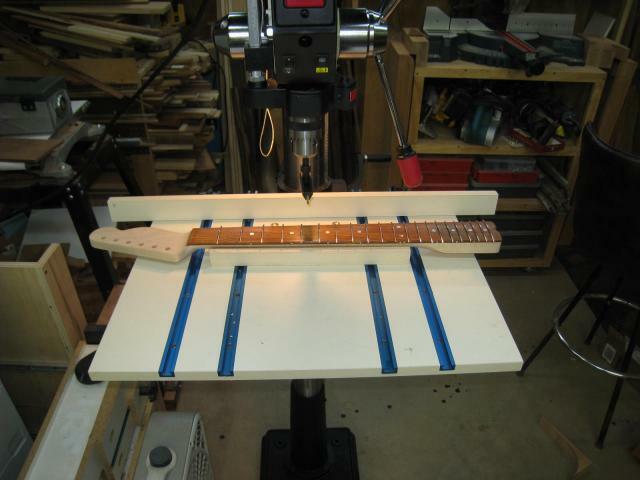 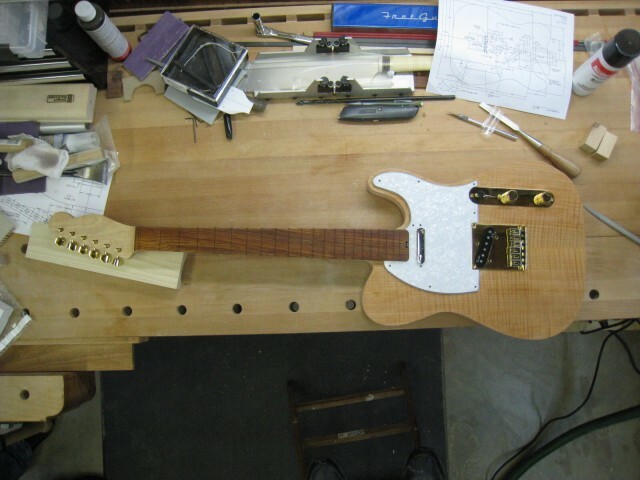 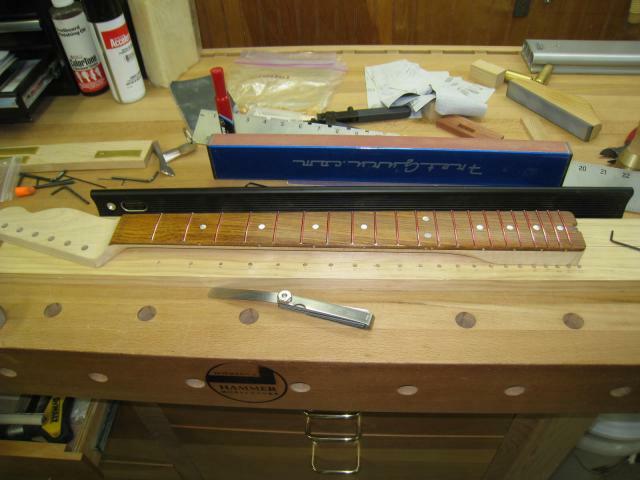 With all the frets cut and set in their prosepctive order, the neck is ready to be fretted. 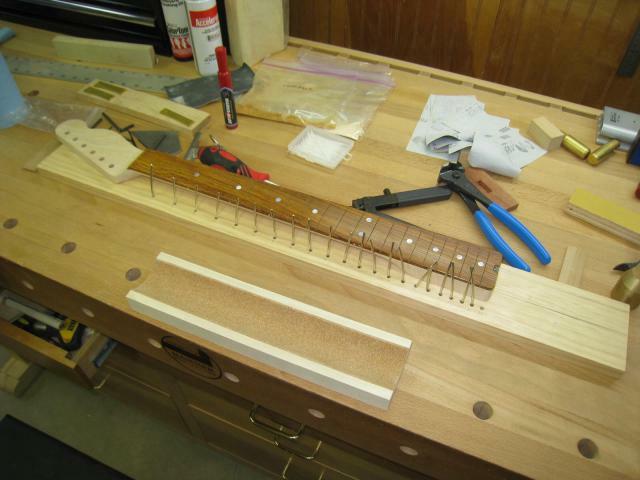 After the frets are tapped into place, each fret is pressed in with a 9" radius caul, followed by a 12" radius caul. 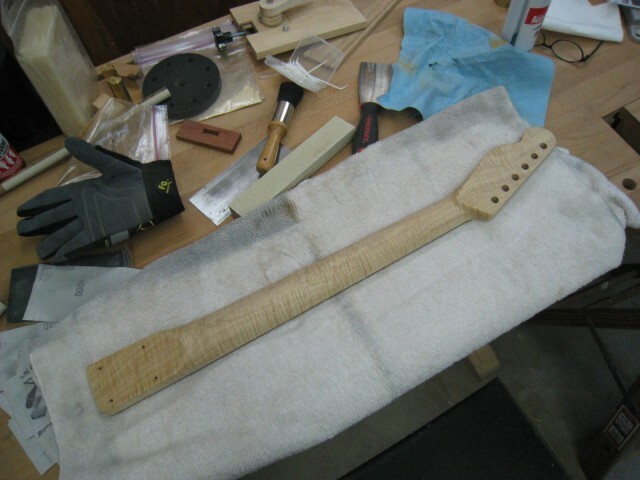 The frets are ready to be leveled and dressed. 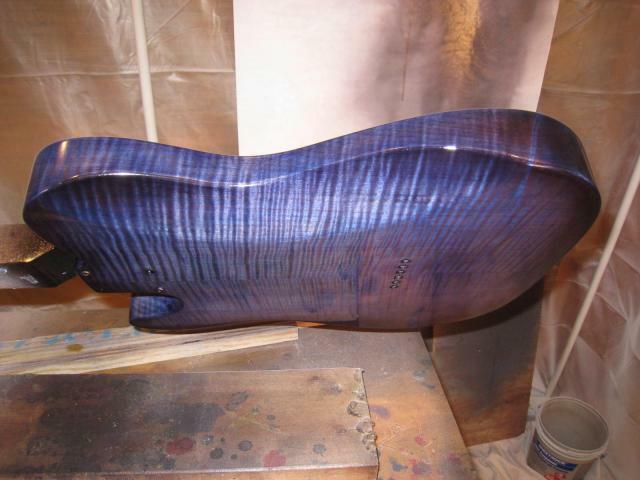 After the first 3 coats on the first day of spraying the nitrocelluose lacquer, a little sample of how it will all look together. 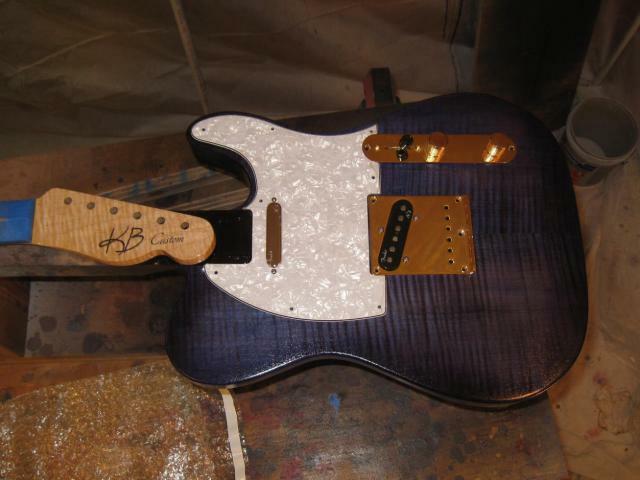 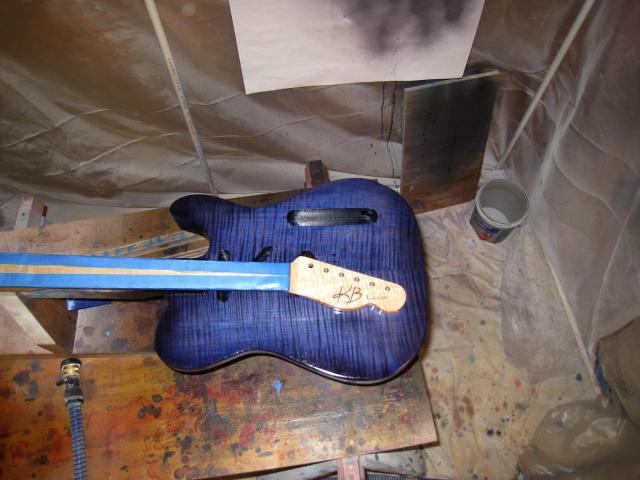 Now we wait 3-4 weeks for the lacquer to be cured enough to complete the guitar. 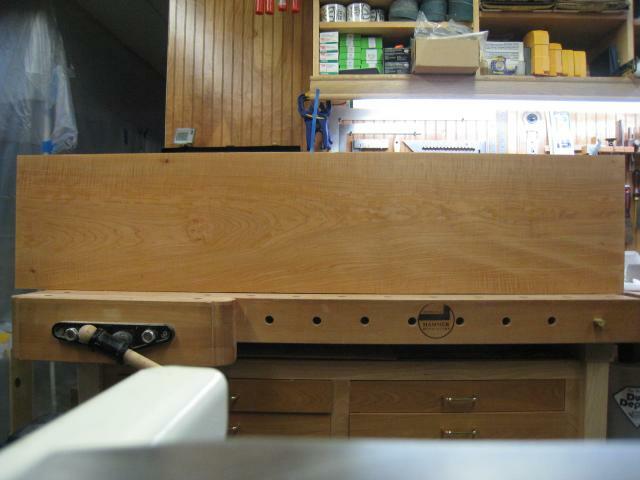 these pictures to be taken to send to the customer - as long as everything was handled CAREFULLY! 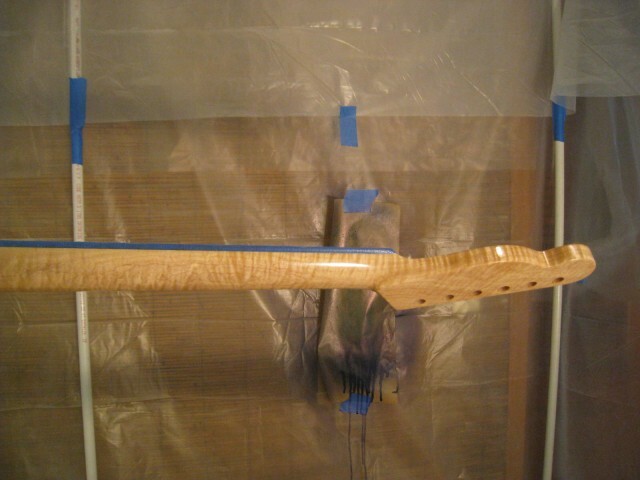 The final leveling and buffing will be done after the lacquer is sufficiently cured.